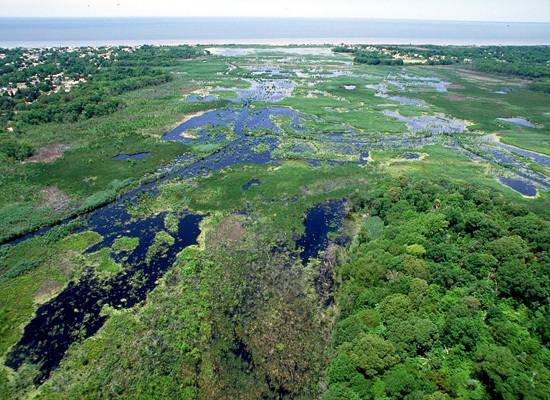 Today is World Wetlands Day, the anniversary of the signing of the Convention on Wetlands, or the Ramsar Convention, in Ramsar, Iran in 1971. 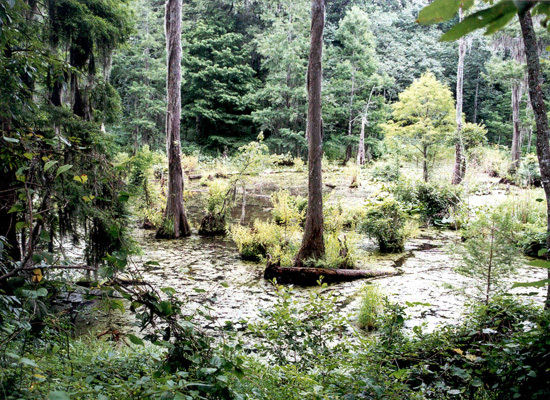 Throughout history, wetlands have been vilified, feared and ostracized as the breeding grounds for malaria, yellow fever, and probably the entire menagerie of Ancient pestilential miasma. Considered useless, a wasteland, an obstacle to a civilization's Manifest Destiny, power, and glory. Cursed by architects, e.g. Vitruvius, and civil engineers for their anti-classical instability and suppleness. Deemed a cesspit. Sulfuric. Methanous. A neverending putrescence that poisons the air of nearby cities. The abode of the Swamp Monster, the Creature from the Black Lagoon, and the boogey-man; the hiding places of escaped murderers and pederasts; the secret rendezvous of satanic occultists; and where incestuous cousins come for their tryst. Dante and Milton have certainly demonized them. The embodiment of sin and impurity. The darkest expression of a corrupted inner self. That wetlands came under nonstop systematic military-agricultural-industrial eradication programs, that suffocating them out of their own hydrology has been a cause célèbre of empires and nations since time immemorial, should thus come as no surprise. Because to destroy wetlands is to be civilized. Fortunately, we now realize the myriad benefis they offer to society. And there truly are many: a defense against hurricanes, tsunamis, and the less energetic but no less destructive normal ebb and flow of ocean waves; a water purification system, or “the kidneys of the landscape”; a habitat for fish and wildlife, some of which are endangered; a “biological supermarket”; flood storage and mitigation; a key biogeochemical recycling complex; an atmospheric filtration system; an ecological phytoremediating machine; a cheap alternative to municipal waste water treatment. Etc. Eat your heart out, green roofs! So perhaps today, one should offer lengthy benedictions and some offerings, maybe a lamb or two, in celebration of this joyous occasion. Or even sacrifice a virgin. 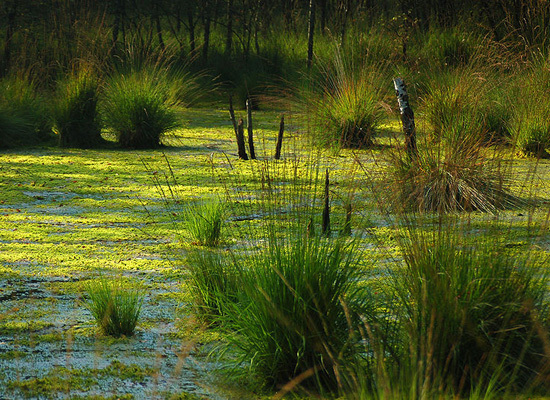 Wetlands are that deserving. Yay wetlands! How would New Orleans look today if there were more of you left! I hope not very much of you gets converted into parking lots around St. Louis, incase we ever have another Great Flood of '93 on the Mississippi. I may curse you when I spend humid summers here completely covered in mosquito bites, but trust me, I don't mean it! i just came across you site, and i just wanted to say I LOVE IT! i have a very strong layman's interest in landscape architecture and i see this as a truly excellent resource. kudos! Hi max, I'm glad you like the blog. Do make yourself comfortable, peruse the archive when you can, and just let me entertain you! And claire, if only everyday was Wetlands Day.